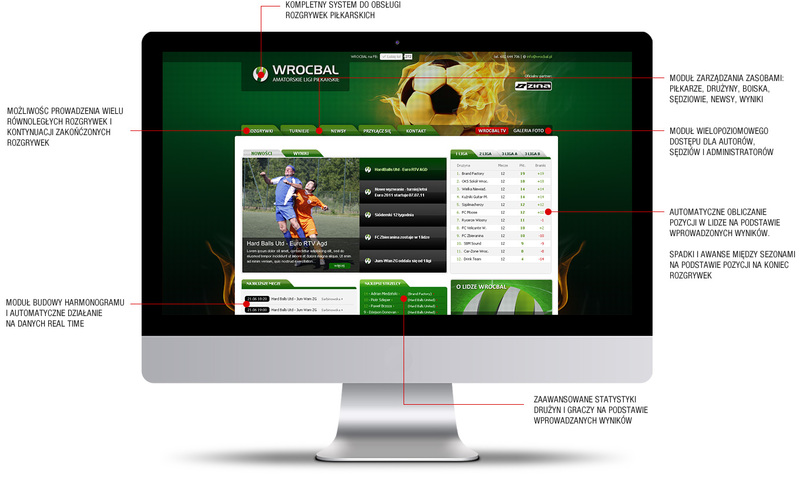 Wrocbal is a Wrocław based company that organises amateur football leagues for dozens of teams. 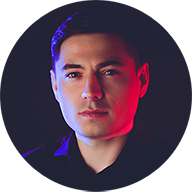 They approached us to design and develop a modern website that will convince new teams to join while sustaining the loyalty of and improving engagement with current teams. We wanted the website to immediately demonstrate to visitors that while the league may be for amateur teams, it is run in a very professional way. 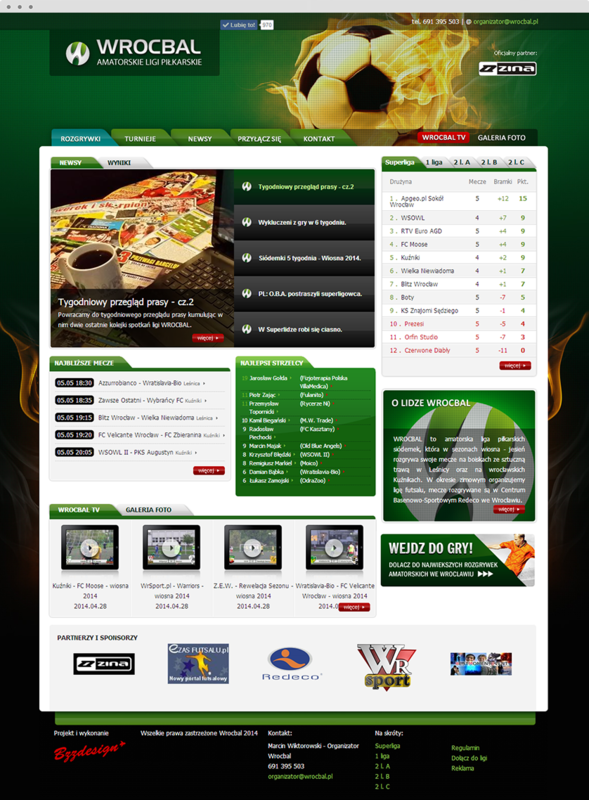 We designed a dynamic website with an emphasis on bold colours and action graphics showing how fun the leagues are for everyone involved. We also made sure that all required information was easily accessible and neatly presented throughout the website, making for an intuitive and pleasing user experience. This included creating sections for a wealth of data such as club, player, and match statistics as well as media sections for photos and video clips. Thanks to Frogriot’s contribution in crafting a professional website, the league’s credibility has flourished and more teams have joined the game every season – positioning Wrocbal as one of the leading organisations for amateur sport in Wrocław.